The Prospects for International Migration Governance project (MIGPROSP) focuses on the drivers of migration governance in four world regions (Asia-Pacific, Europe, North America and South America). The project is interested in how various types of ‘actor’ in migration governance systems make sense of the issues they face and how they understand and respond to the uncertainties and risks. This paper introduces key conceptual reference points for the wider MIGPROSP project by developing six theses about migration governance. These are migration governance as: (i) a signifier of change in underlying social systems; (ii) centred on relations between organisations and their environment; (iii) both an effect and a cause of turbulence in governance systems; (iv) inherently ambiguous leading to the potential decoupling of problems and solutions; (v) pluricentric and multilevel thus signifying involvement of more organisations; (vi) profoundly situationalist shaped by the practical activities of real people engaged in concrete situations of social action. Each thesis will be illustrated by material from first phase of the MIGPROSP project during which interviews have taken place more than 300 actors in migration governance systems in Asia-Pacific, Europe, North America and South America. In the absence of meaningful international cooperation on the matter, migration governance is increasingly addressed at the regional level. Across all continents regional integration frameworks have introduced mobility norms for the citizens of the participating countries. Some of these norms reach beyond the regional integration frameworks themselves and have been included in bilateral and plurilateral trade agreements. South-East Asia has seen a particular proliferation of such mobility norms as part of the ASEAN regional cooperation framework. These mobility norms tend to reflect government’s preference for temporary movements of highly skilled professionals. They provide for market access, but they fall short of regulating the rights and entitlements of the migrating individuals and their families. Furthermore, while formally codified, these rules affect only a very tiny part of Asia’s labour migrants, and are often not even transposed into national laws. In parallel to these formal temporary mobility rules agreed “from above”, labour migration governance in South-East Asia occurs at the informal level, through the “bottom-up” mobilisation of civil society actors in the form of ‘networks of labour’ involving trade unions, grassroots and advocacy organisations which have sought to improve the situation of the large number of migrants by promoting a rights-based approach to migration. In this paper we juxtapose the dissociation between formal highly selective mobility norms “from above” with informal governance “from below” and seek to identify the venues through which these two largely dissociated processes may be brought closer to another. In the context of the global refugee crisis, trans-Saharan and trans-Mediterranean (irregular) migration from Africa to Europe has recently received huge public and political attention, particularly within Europe. Calls for reducing and containing irregular migrant flows and addressing the ‘root causes’ of forced migration dominate the European policy discourse. The present paper adopts a contrasting perspective focusing on regional migration governance in Eastern and Western Africa. Contrary to their common perception as places of origin or transit, empirical evidence points to the pivotal role of African cities, countries and regions as areas of temporary or permanent destination. In fact most movements in Africa are taking place within or between sub-regions. Against this background, African regional organizations have developed mobility regimes aiming at facilitating and better managing intra-African migration. In the European migration discourse, it can be expected that these mobility regimes will further gain attention. As part of a recently started three-year research project on regional migration governance in the Economic Community of Western Africa (ECOWAS) and the Intergovernmental Authority for Development (IGAD) in Northeastern Africa we propose an analytical framework for African regional migration governance. The framework is based on the following guiding questions: 1. To what degree do the organizations address the highly varied and variable nature of migration? 2. What are corresponding institutional set-ups, norms and mechanisms, dominated by what actors acting on what interests? 3. What are points and channels of interaction with national and sub-national governance levels and sectors, as well as international agencies? Actors shaping and influencing migration law in South America – including politicians, officials, regional organizations, NGOS and civil society – have, in many respects, different understandings of the governance of migration from what we may find in other regions around the globe. This commonality of views has been reinforced since the turn of the century by the proliferation of regional fora where ideas on migration are shared and discussed, including South American Conference on Migration, MERCOSUR, CAN or UNASUR, as well as by the work of IOM as an agency creating a common narrative on how to regulate migration. A first analysis of 74 semi-structured interviews having been conducted in six South American countries between 2015 and 2016, reveal a particular interest take with regard to irregular migrants, family members and regional citizens. These three categories relate to three emerging principles that can be readily identified in the new migration laws in the region: non-criminalization, right to migrate and, in the case of regional citizens, open borders. However, these three categories seem to be overlap in various and contradicting ways so that the irregular migrant, the family member and the regional citizen are often just one figure. This presentation will initiate a first exploration of these issues to understand the impact these configurations have on the law. EU policy makers have historically paid attention to the diversity of flows, stocks, and the composition of migration in Europe. This has been coupled with alert when such diversity was perceived as representing a burden on specific member states. While ample recognition of this concern has entered into EU legislation mainly as reference to disproportionate pressure, its operationalisation for policy purpose has been ambiguous and unwieldy. This paper looks at another policy area, which has gone through momentous change in recent years, the Economic and Monetary Union, and borrow one of its policy framework to deal with potentially disruptive trends to apply to migration. The Macroeconomic Imbalance Procedure (MIP), which entered into EU law in 2011, is explored as a way to identify trends that could put the national migration systems under strain, and consequently generate systemic risks for Europe. Borrowing from the literature on resilience, two possible source of concerns are identified, namely structural changes and shocks. The benefits and weaknesses of the MIP are first discussed, and then the potential gains from its application to migration policy are spelled out. The selection and operationalisation of indicators are identified as main problems, both at the methodological and political level. Some proposals to overcome these difficulties are put forward, both in terms of aggregation and political strategies, and the preliminary findings from the activities of the Knowledge Centre on Migration and Demography (KCMD) are presented. Regional economic communities face the challenge to complement the free movement of goods, services and capitals with a framework for the free movement of workers. Globally, different regional economic groupings are approaching this issue of internal labour migration in different ways: whereas the European Union has implemented an ambitious plan complementing free movement of persons and right of establishment throughout the Union with the harmonization of education standards and even an embryonic common employment policy (see Martín 2014), other economic communities are following different approaches, such as SICA (Central American Integration System) and its so-called Group of 4 (G-4), the Pacific Alliance and the “Residence Agreement” of Mercosur in Latin America, ECOWAS (Economic Community of Western Africa), SADC (Southern African Development Community) and East African Community in Africa and ASEAN in Asia. What lessons can be drawn from these experiences? What are the different legal and institutional modalities of free movement of workers adopted? What use do they make of instruments such as free movement of persons protocols, right of establishment, recognition of qualifications, or harmonization of employment and education policies? The proposed background paper will also review how these different integration processes address the issue of skills mobility and recognition of qualifications (including the development of Regional Qualifications Frameworks in SADC or the Caribbean). This paper explores contribution of international organizations (IOs) to the development of regional migration governance in post-Soviet Central Asia that forms part of the Eurasian Migration System experiencing significant migration dynamics. It builds on my previous research showing that both referent “migration” IOs such as IOM and UNHCR and non-referent IOs that have relatively recently entered migration terrain play an important role in migration governance across Central Asia. The paper argues that IOs – thanks to their active involvement in the production and dissemination of expert knowledge – are the major drivers behind the emergence of “communities of practice” (Wenger 1998) in Central Asian migration governance field. The attention to the “communities of practice” concept in International Relations has been growing since its appearance in the seminal works of Adler (2008) and Pouliot (2008) building on Bourdieu’s theory of practice. Since then, this concept has been applied to research on topics as diverse as EU external relations (Bicchi 2012), international maritime security (Buerger 2013), water resources management (Mukhtarov and Gerlak 2013) and migration governance within the EU (Geddes 2015). Following this research, this paper demonstrates the relevance of the “communities of practice” paradigm for research on regional migration governance in Central Asia and larger post-Soviet region. Empirically, the paper examines relevant dynamics within both Regional Consultative Processes (Budapest Process, Prague Process and Almaty Process) and more informal settings created by IOs. In doing so, the paper builds on my fieldworks in four Central Asian countries – Kazakhstan, Kyrgyzstan, Tajikistan and Uzbekistan – in 2011-2016. The contribution is intended to focus on the new challenges of migratory flows as far as the component of accompanied and unaccompanied minors, demanding for a comprehensive review of the EU primary and secondary law and of EU Member States legislations in force for a better governance of migratory matters, also in relation to the contents of some cooperation agreements and related implementation measures with non EU Countries. The legal status of accompanied and unaccompanied minors is investigated to identify their basic needs, moving from the principle of the best interest of the child, to be accomplished in the view of: proper identification procedures and related age assessment in reception centres for their immediate rescue and for granting them supplementary specialized assistance services and facilities, consultative mechanisms taking into account their age and maturity, the engagement of ad hoc trained personnel including cultural mediators, the appointment of a tutor having proper skills to take care of unaccompanied minors, ad hoc methodologies to trace family members in order to facilitate the implementation of family reunification programmes, the option for assisted and voluntary repatriation according to a case-by-case approach, the creation of a specific data collection system to include all essential information about each case and being accessible to all institutional bodies working in this field at the central and local level. This article adds to the migration governance discussion at the global, regional, and national levels by focusing on South American intraregional cooperation. We utilize new Latin American migratory trends and review the South American Conferences on Migration’s themes and advances from 2000 to 2015. The European Union’s free movement of people has attracted much attention but we redirect the focus on South America’s distinct characteristics in current steps towards freer intraregional movement. The region comprises South-South migration, emphasizes human rights, has low language barriers, conducts policymaking at the national rather than regional level, and aims to overcome irregular migration rather than create a Single Market. The South American region is well-positioned to encourage continued intraregional circular labor migration. Our analysis serves as a Regional Consultative Process case study and may be useful for other intraregional, South-South, and circular migration cases. Our conclusions suggest further specific research relating regional cooperation to domestic migration policy changes and implementation. For the past three decades, South American countries has attempted to form a common market (and, more recently, a political union), create effective and autonomous regional institutions, and foster mechanisms of power-sharing and decision-making in several policy areas. The attempt to follow the European regional model soon lost track in the context of contested regional leadership, domestic instability, internal disputes, and loose and intermittent cooperation; it did not initially include managing cross-border migration as a priority but this issue, encouraged by economic and social order concerns over increasing intra-regional migration, rapidly paved the way for a normative migration policy consensus developed in the last decade. Migration-related institutional and procedural developments then acquired an independent dynamic and relatively fast pace, although this has not been exempt of contradictions and subject to stop-and-go motion. Thus, the question is: to what extent, and with what implications, does regional migration governance has evolved in South America? And what factors may prompt further development in the long-run? This study traces the answer in the actions and discourses of state and non-state actors, the building blocks of an incipient regional migration policy today, and the prospects of the regional citizenship project. The findings highlight some relatively neglected explanatory factors, such as the role of transnational policy networks and the weak state capacity to effectively regulate migration flows. The conclusions assess to what extent the South American way represent a distinctive model of migration governance; they also suggest some policy challenges and venues for further research. Since the early 2000s, strikingly open discourses and some important initiatives on free mobility and migrants’ rights have characterised regional migration governance in South America. However, studies that seek to understand both domestic immigration policies and regional migration governance remain scarce. This paper traces the regional ideological paradigm shift that took place from a securitized vision of migration to the populist invocation of a rights-based approach to managing the international movement of people in South America. The paper further traces legislative policy change in Argentina, Ecuador, Peru and Mexico, to assess the impact this paradigm shift had on immigration law liberalisation on the national level, both within the sub-region and beyond. The paper is especially interested in identifying the political key actors and their interests in promoting a rights-based approach to managing migration, and how this new paradigm travels between regional and national levels. In focusing on the interaction between political actors and existing legal and political structures, the paper takes a critical realist approach to analysing regional migration governance in South America. In South America, the regional policies for the movement of persons have evolved in the last two decades. Mercosur, the most important integration process in the region, has developed diverse norms that can be better understood by dividing them into “generations”. The first (1991-2002), was signed by political and economic neoliberalism and centred in work issues. At the domestic level, restrictive migration policies remained from the dictatorships. From 2002 to 2012, the process focused more on social issues, positive integration and rejected neoliberalism. This “generation” started with the Residence Agreement, a milestone in regional migration policies, and with the beginning of the South American Conference on Migration, which intensified interaction in the area. Domestic policies started to change after Argentina, the main receiving country, modified its national migration law. The “generation” of norms ends when Venezuela entered the process and Bolivia signed the Adhesion protocol. At the same time, the political ideology of the governments started to change. Even if still no major norms have been elaborated, discourses seem to be going back in line with the first generation. This work discusses the emergence of a third “generation” of regional policies for the movement of persons. To do this, it analyses the changes and continuities with the previous generations of norms and argues that the main scenario for this generation could be the maintenance of the status quo, as the existing norms already fulfil the political objectives of the new governments. To explain this, this study will focus not only on the norms but also on their negotiations. Immigration policy theories are almost exclusively rooted in the experiences of European or North American countries and bound – explicitly or implicitly – to the ‘Western liberal-democratic’ context. The paper dissects recent immigration policy-making processes in Morocco and Tunisia, two polities that are not categorized as ‘Western liberal democracies’, and asks: To what extent do existing theories capture policy processes in Morocco and Tunisia, and vice-versa, how can these be developed further through a ‘non-Western’ empirical perspective? Since the 1990s, immigration to Morocco and Tunisia from Africa, the Middle East and Europe has increased. The paper analyses the emergence of immigration as a ‘public problem’ in Morocco and Tunisia and the determinants of subsequent migration policy changes, based on insights gained through semi-structured interviews with a wide range of political and civil society actors in both countries. The analysis highlights inter-institutional dynamics within the Moroccan and Tunisian state apparatus, as well as interactions with a rapidly evolving civil society – all against the background of a changing political landscape in North Africa. It discusses the role of specific state or societal actors in agenda-setting and interest reconciliation processes, assesses the impact of regional and national contexts on policy decisions, and investigates the various ways in which international ideas and norms are integrated into national policy-making. Herewith, this paper hopes to contribute to the ongoing effort in the social sciences to redress the still prevalent ‘Western’ bias in the literature and to start (re)thinking theories from a novel empirical perspective. This paper analyses the dynamics of the multilevel governance of migration flows between West Africa and Europe. Firstly, I examine bilateral, multilateral and inter-regional frames of cooperation on human mobility. Secondly, I analyse the type of governance emerging from the cooperation, focusing on his main axis -readmission and externalisation of control- and on the tools used to prompt the negotiation, and particularly on the linkage with development and the subsequent emergence of a ‘migratory conditionality’ in this field. Thirdly, I underline how, during the last decade and more clearly after the recent La Valletta’s EU-Africa summit on migration, a hegemonic European securitarian approach of human mobility had spread and has produced a de facto displacement of the Euro-African border. Finally, I consider the consequences of this rise of the immigration issue between Africa and Europe, from the point of view of States as well as people on the move. This paper seeks to explain the development of external relations on migration between the EU and Tunisia. It does so by developing an account that analyses the views held by actors – such as political leaders, officials, NGOs and think tanks – operating within this regional migration governance system about the causes and consequences of migration. 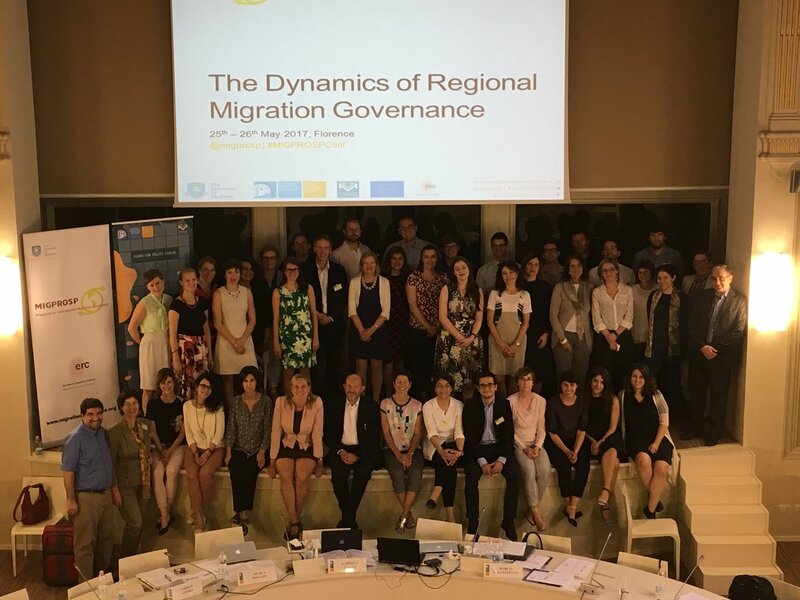 It develops an analytical framework that emphasises the importance of framing effects to the current and future developments of regional migration governance in the Mediterranean. This focus allows to analyse policy instruments on external relations as political elements, framed by the understandings of the actors that develop them. The wealth of such policy tools between the EU and Tunisia has led to focusing on this case. This paper suggests that despite many years of relations, the EU and Tunisia have not been able to resolve an intrinsic tension on how they base their policies on contrasting views of causes and effects of migration. The EU’s external relation approach is framed by a consideration of pull factors as causes of migration, leading to considering external work on return and smuggling as a necessary deterrent to irregular migration fluxes. In contrast, the external work on migration carried out by Tunisia is framed by considerations on emigration and Diaspora politics, wanting to maximize the benefits of migration for national political and economic development. This paper analyses in what way this tension has driven the development of joint policy instruments of migration governance. Although the link between international migration and development has traditionally been framed in the context of labour mobility and globalisation, this relationship has expanded over the recent years. Therefore, we increasingly encounter the heterogeneous use of the term ‘development’ in different contexts of human mobility ranging from economic migration to return migration or in relation to refugee protection policies and politics. This article, while pointing at the generic and contrasting use of development arguments on the subject of international migration, scrutinizes EU level policy-making processes in relation to migration and its development dimension. In particular, there is a discernible knowledge gap regarding the role of the EU in integrating development-related consequences into its migration policy-making processes. The article particularly questions the degree to which the EU has incorporated a systemic oversight mechanism concerning development related consequences of external migration policies.